This section of North Albany Road is due for reconstruction. The intersection is to be moved to the signal in the background. Engineers and builders have been constructing roads for centuries. But now the process has become so complicated that road projects are facing long delays and higher costs. Take just one local example, the long-planned reconstruction of a section of North Albany Road, the busy link to a fast-growing part of the city of Albany. The reconstruction of this road had been in the budget for 2012-13. But then, various complications arose. A study commissioned by the city found a new floodway in North Albany. Raising the road to within a foot of the level of a massive 100-year flood would require more work to make sure the water could still get through. This meant that a bridge across Thornton Lake probably could not be modified and reused, as originally planned. Wetlands and other permits from state and federal authorities have yet to be obtained, and estimated costs have risen to $4.3 million, more than the city has set aside for this work. 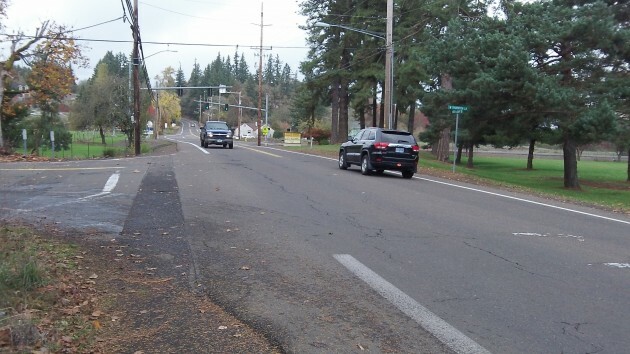 Tom Cordier: Please explain the real benefit of moving Thornton Lake Road to intersect with the light at NAMS road. Currently the light is green for N/S traffic unless the e-eye sees a vehicle trying to enter N/A Rd from the school road. When vehicles enter to turn right there is no need for the signal. If the proposed new intersection is constructed, then we’ll be subjected to a full red-light regardless of school being in session or traffic conditions. Moving the intersection will be a waste of taxpayer money and I don’t care how long it has been planned. And I don’t care if we got a grant to do it ’cause there is no free money. I travel that road more that once daily. These planned constructions are proposed by staff and the council goes along-to-get-along. STOP THE WASTEFUL SPENDING.